You Are Here: Home > What are the 2017 Acura ILX Exterior Features? When San Diego drivers want a sporty vehicle that offers style and seamless handling, the 2017 Acura ILX should be the first vehicle that comes to mind. This compact sports vehicle gives you the athleticism you want for excitement and the style you need for luxury. From the impressive A-SPEC package down to its standard design features, explore the 2017 Acura ILX exterior features below. 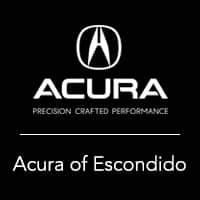 If you truly want to explore the 2017 Acura ILX exterior (and all its other fun features), then you need to visit Acura of Escondido today. We have a nice selection of Acura models to choose from, and we’re always ready to help you drive home in the new car that’s right for you. Visit us today at 1502 Auto Park Way No. in Escondido, CA to see our inventory, or contact us at (844) 695-4328 to learn more about current offers and specials.